I was given Paris in Winter for Christmas by our friend Heather. It has been at the top of my list for a read this week out at WestWard. We arrived yesterday and I headed straight for it and have been completely charmed. 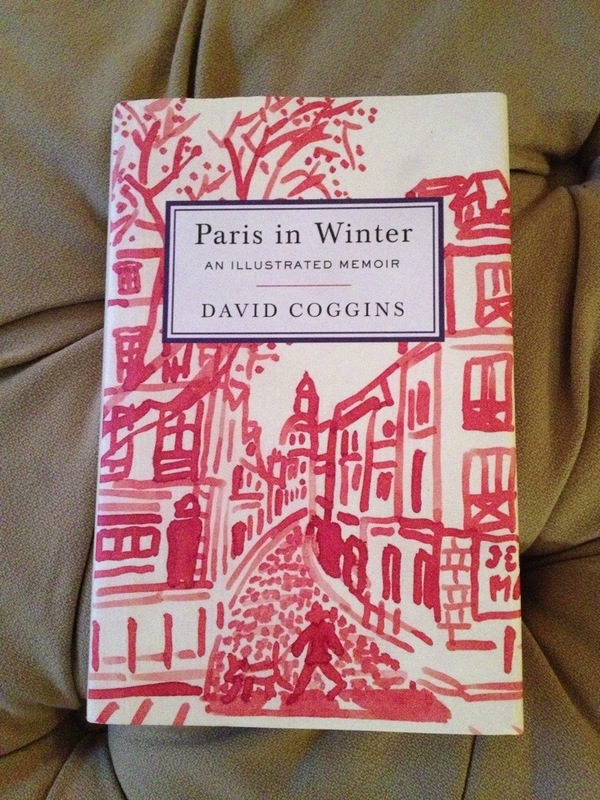 David Coggins is an artist who lives in Minneapolis. For the past 30 years, he and his family have been going to Paris at exactly this time of year, and are there to ring in the new year. What an amazing tradition! The book includes his drawings over the years he has done while on those stays, as well as random thoughts on life and the time spent wandering the streets, shops, museums and restaurants. Art & food play a huge part of the book, so you know it is right up my alley. You feel like you are right there with them. We will be ordering this for the shops this week and I will be speaking with David about getting signed book plates to add to each copy. As I said, it is just utterly charming and an ode to a city near to my heart. His drawings capture the essence of Parisian life, adding so much to the book to make you feel like you are part of Paris at this magical time of year.